Dr. Erin Bonura, an infectious diseases specialist at Oregon Health and Science University Hospital, said the young woman was 'amazing' in the way she handled the infection. By the time Abby Beckley pulled the second wiggly translucent worm from her left eye in August 2016, she knew something weird and unusual was happening. 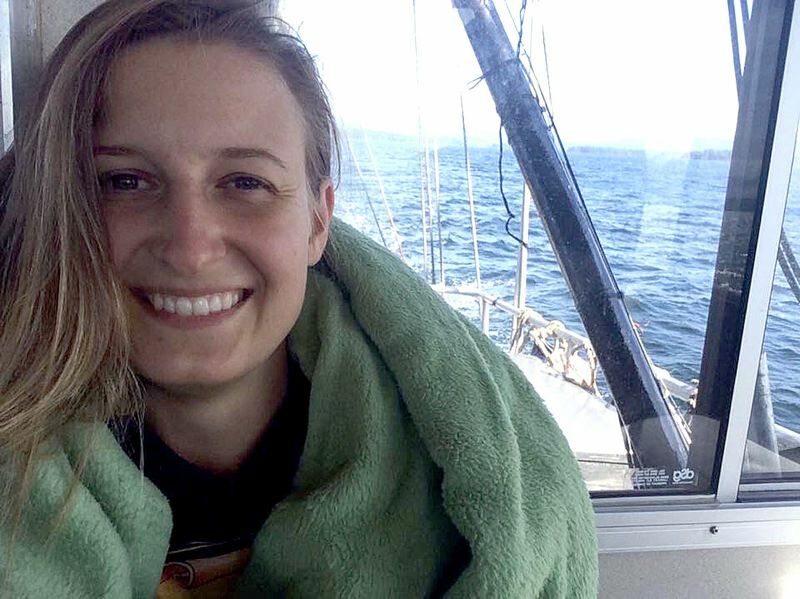 The 26-year-old woman from Brookings who was working as a summer deck hand on the Chirikof, a 58-foot commercial fishing boat plying the waters of Southeast Alaska near Prince of Wales Island, was puzzled by the tiny worms that wiggled and died on her index finger minutes after she gently tugged them from her irritated eye. Beckley and a friend searched the Internet for answers, but found little information that helped. 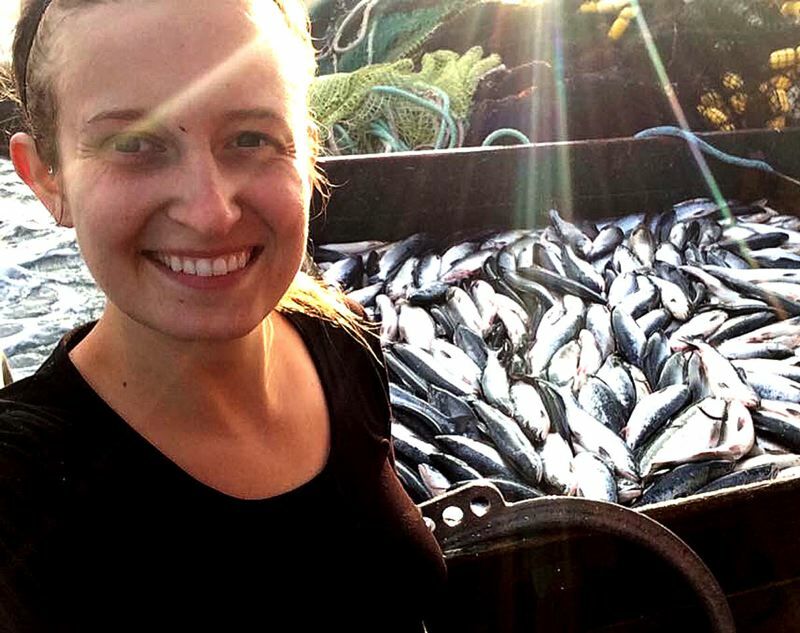 At first, they thought it was a salmon worm that had fallen into Beckley's eye as the crew hauled in a catch. Then a doctor in Craig, Alaska, looked at the irritated eye, saw the three worms Beckley had collected in a coffee can lid and, in Beckley's words, "actually freaked out." Within weeks, Beckley would discover that she was the first human infected with Thelazia gulosa, an eye worm found mostly in cattle throughout parts of North America. Eighteen months later, Beckley is still shocked by the revelation. "It was shocking when it happened, and it's just fascinating now," she said Friday, Feb. 9, from her home in Grants Pass, where she's lived for the past couple of years. "It was also concerning." Dr. Erin Bonura, an infectious diseases specialist at Oregon Health and Science University Hospital, who treated Beckley in Portland, said the young woman was "amazing" in the way she handled the infection. Between Aug. 11 and 30, Beckley pulled 14 tiny worms from her left eye, Bonura said. "She's incredibly strong and amazing in the way she handled this," Bonura said. "It can be unnerving to pull worms from your eye, but she did it." Bonura is an author of a study about Beckley's case published Monday, Feb. 12, in the American Journal of Tropical Medicine and Hygiene. 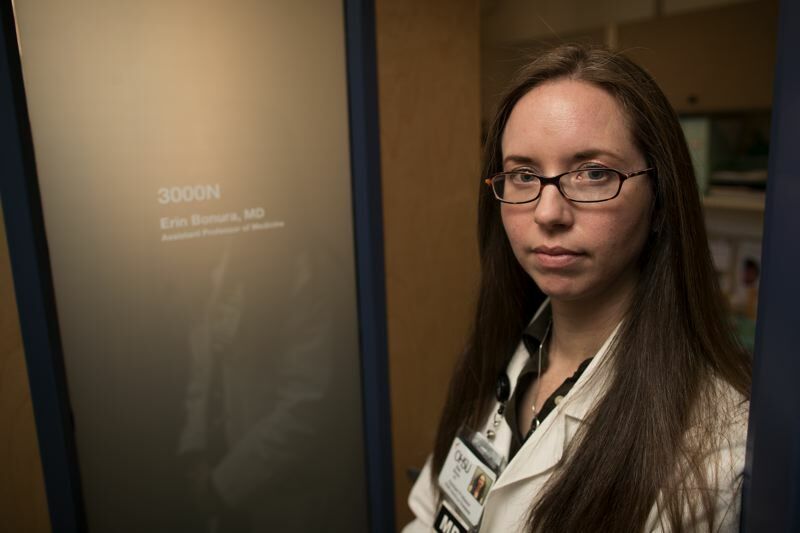 She worked with the U.S. Centers for Disease Control and Prevention on treatment of the infection, and the study includes warnings that physicians should be aware it could happen again. "This is extremely rare," Bonura said. "It's not a common concern. The main reason we wrote the study was to make sure other physicians knew about it, not to cause alarm. It's just a warning that we saw this in a human and if something comes up again, doctors might check for Thelazia gulosa." Bonura said doctors and scientists working on Beckley's case were interested in the infection, but didn't think the public would find it fascinating. "We were kind of nerdy about it," she said. "Cases of eye worm parasitic infections are rare in the U.S., and this case turned out to be a species of the Thelazia that had never been reported in humans," said Richard Bradbury, Ph.D., the lead author of the study who works with the CDC's Division of Parasitic Diseases and Malaria. "Previously, it was thought that there were only two different species of these (Thelazia) eye worms that infected humans worldwide. Now, we have to add Thelazia gulosa, a third one to the list." There are about a dozen types of Thelazia infections, most of which can be found in humans. 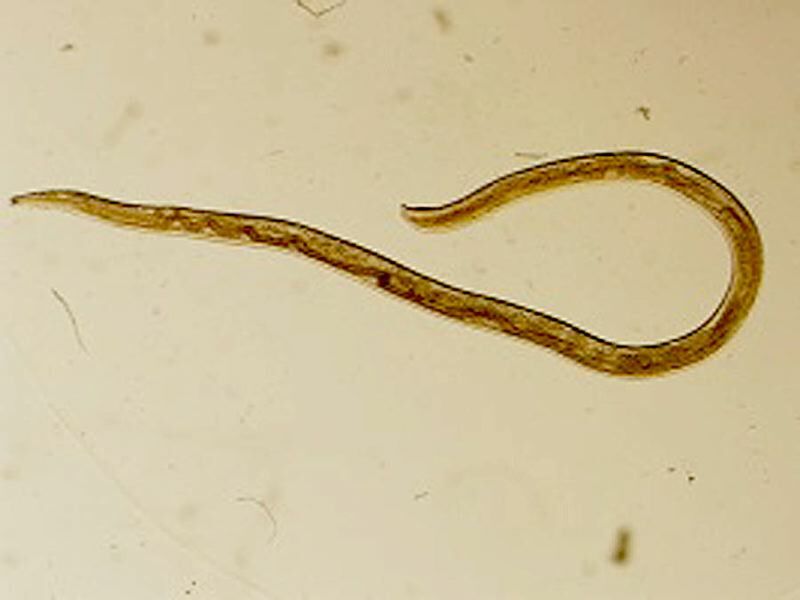 Thelazia is a type of nematode worm parasite (about the size of a grain of rice) found in eye lids and tear ducts. The worms are transmitted by flies that deposit larva while feeding on their hosts' tears. The worms are found in all sorts of animals — cats, dogs, horses, cattle and wild carnivores. Worms found in Beckley's case were the kind that feed mostly on cattle tears. She may have been infected while working at a Southern Oregon cattle ranch, Bonura said. Eye worms cause inflammation and an itch like something foreign is under the eye lid. Symptoms subside, as they did in Beckley's case, after the worms are removed. 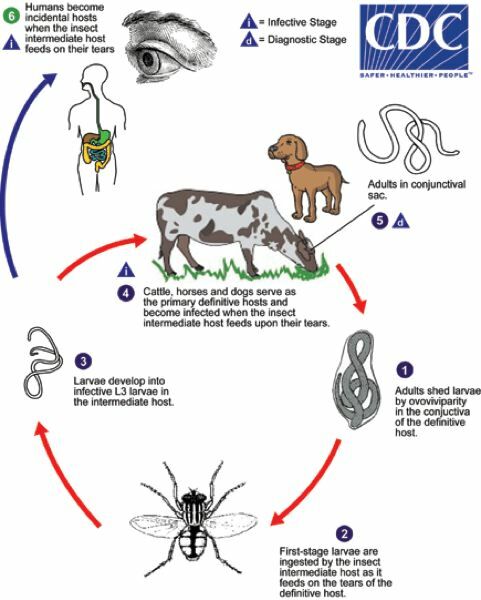 CDC's parasitic disease reference laboratory identified the worms in her case as cattle eye worms, which are spread by a type of fly known as face flies. "We immediately thought it could be Thelazia californiensis because that is the only species that was known to infect humans in the U.S.," said Bradbury. "It was only after we looked more carefully that we realized some differences in anatomy that meant it could not be T. californiensis. We had to go back to papers published in German back in 1928 to help identify this worm as Thelazia gulosa." Beckley's unusual journey began in early August 2016, when she first noticed her left eye was irritated and droopy. After about five days of irritation, she decided "I was going to get whatever was in my eye out." She pulled up her eyelid, gently rubbed the inside of the lid, pinched her fingers together and pulled out a tiny, wiggly worm. It died within seconds on her finger. "I was just shocked," she said. "I stared at it. I didn't scream. I didn't cry. I was just shocked." While the Chirikof was in port, she pulled out three more worms. She saw the doctor who, Beckley said, became visibly alarmed by the infection. The doctor told her to "keep an eye on it," and Beckley returned to the fishing boat. When she kept pulling worms out of her eye, Beckley called her boyfriend, whose parents are doctors. Her boyfriend's father came up empty in his research about the infection, and called OHSU's infectious disease phone consultation service. Bonura answered the call, and recommended that Beckley head to OHSU for treatment. Beckley arrived in Portland a couple days later, checked in at the OHSU emergency room and connected with Bonura. For a couple of days, she saw a parade of doctors all trying to solve the infection's puzzle. "They were great," Beckley said. "At the same time, they said stuff like, 'It might be mucus.' But when they saw one squiggling across my eye, that changed everything." While she was being examined, Beckley gently pulled one worm from her eye. Bonura said doctors were unable to coax the creatures out. "They only came out for her," she said. Treatment including washing out Beckley's eye and helping her pull the worms out. After a few days, the irritation faded and the worms disappeared. Beckley stayed calm during the ordeal. "Believe me, it was gross. 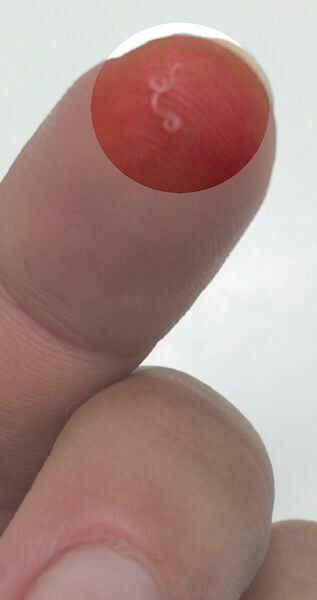 I was checking my eye every 30 minutes. It was just like this mental game I had to play with myself. "It was something that was happening to me, and I thought I could panic or be afraid, but none of that was happening. I'd take it one day at a time. Each time I pulled one out, my eye would get better." As the studies about her case are published, Beckley realized it was bigger than she first thought. While she was in the middle of it, Beckley said the lack of information on her type of infection was troubling and sometimes scary. "There's a lot of fascinating things about this," she said. "And I'm OK, so that's important. "When you get sick and you Google it, you want to know that someone else has gone through the same thing. I had no other person in the world who knew what I was going through. I was alone."